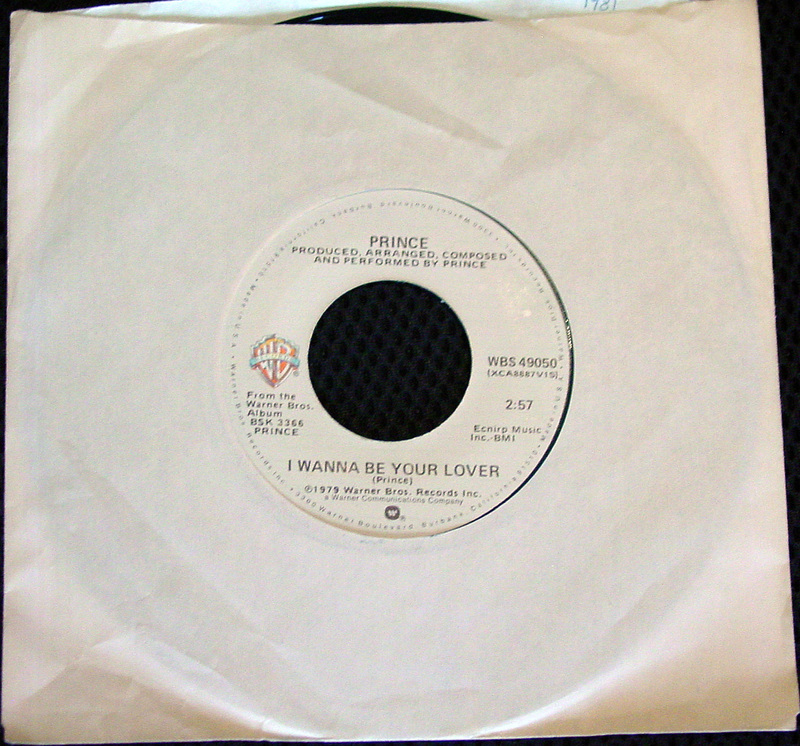 “I Wanna Be Your Lover” was Prince’s first US Top 40 hit, reaching #11 in 1980. 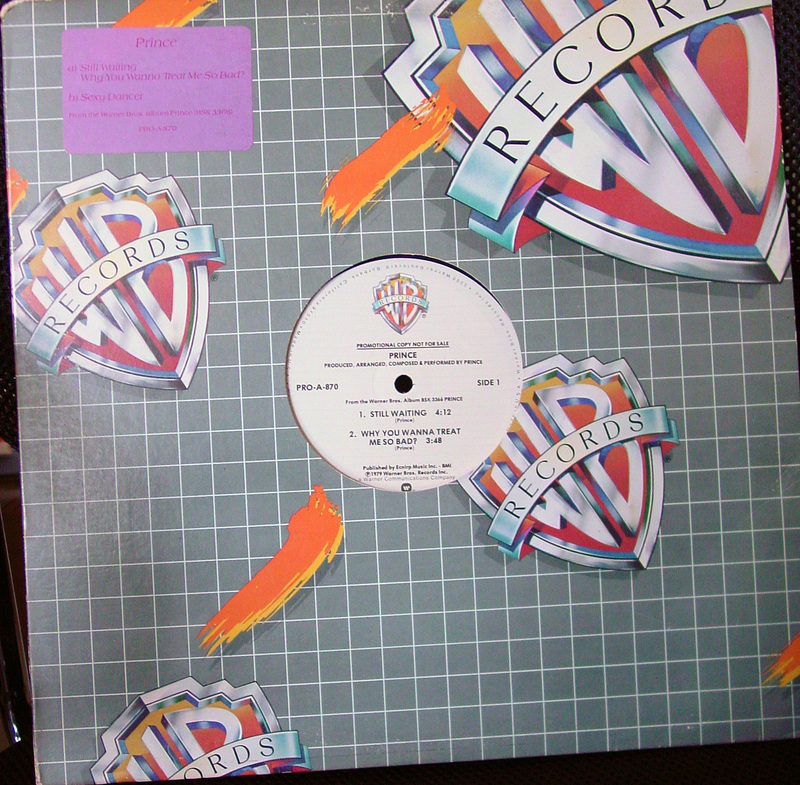 “Still Waiting” is a track that appears on Prince’s self-titled second album, the same record that spawned “I Wanna be Your Lover.” It’s not his best track, but how cool is it that I have a promotional 12-inch single from Prince’s pre-superstar days? Prince’s 1999 album was released in October 1982, one month prior to Michael Jackson’s Thriller. I remember taking the train to Harvard Square and buying both albums at the university bookstore. Shortly thereafter I bought a 1999 t-shirt, which I still have. Though I wear it regularly, its color hasn’t faded at all, there are no tears, and it fits me perfectly. Back then they made t-shirts of better quality. Kids today don’t know what good t-shirts are. 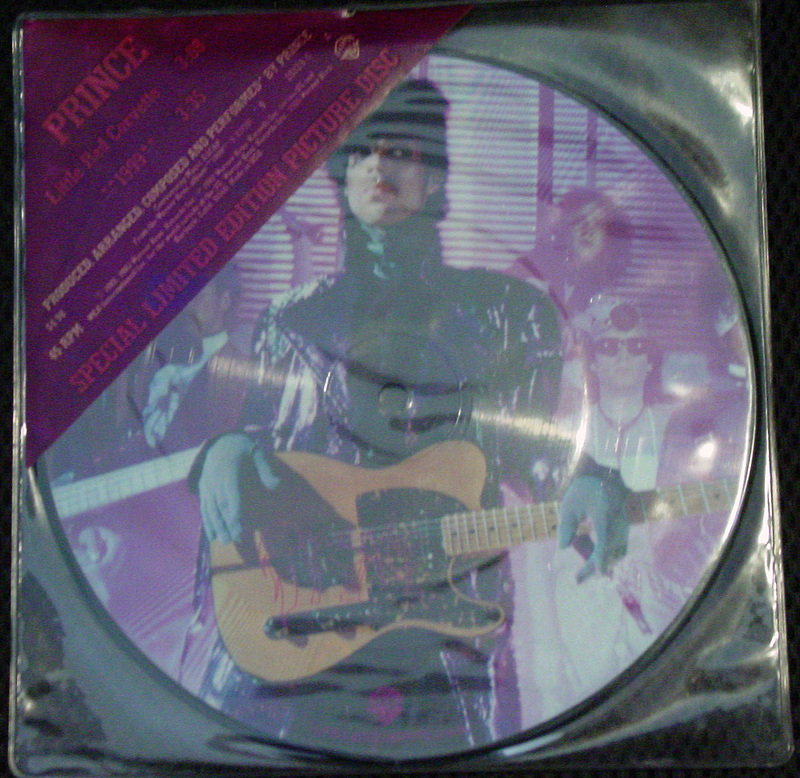 Prince first US Top Ten single was 1983’s “Little Red Corvette.” The song is from his 1999 album, presently at #36 in my Top 100 Albums of All Time list. The song inspired Stevie Nicks to write “Stand Back,” on which Prince played keyboard. 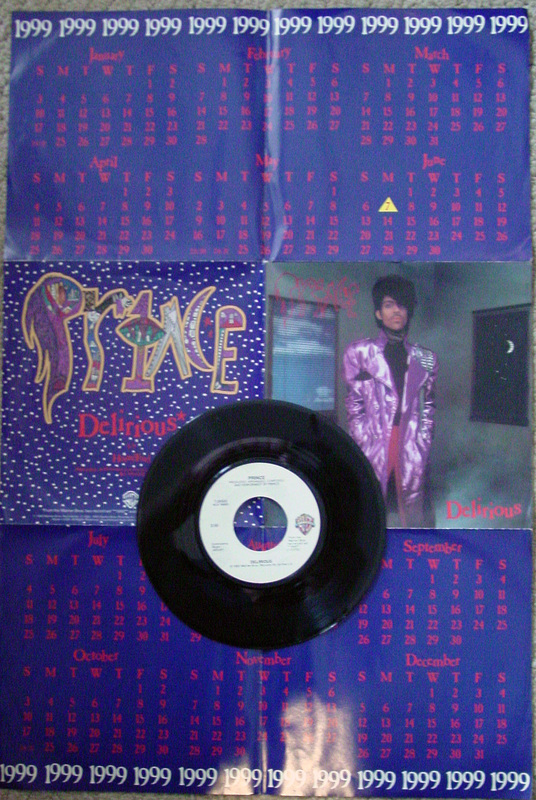 “Delirious,” also from 1999, was the follow-up to “Little Red Corvette” and also hit the top ten. The 45 came wrapped in a poster of Prince which had a calendar of the year 1999 on the other side. 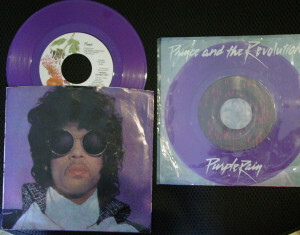 “When Doves Cry” was the first single released from the Purple Rain soundtrack, my #4 Album of All-Time. 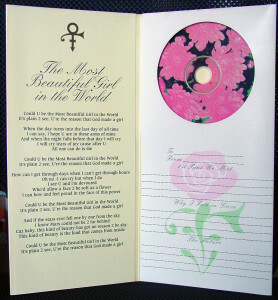 It became Prince’s first #1 single. 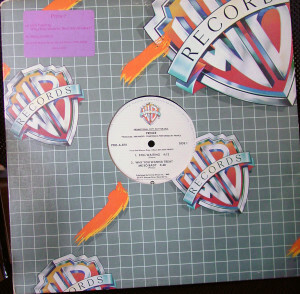 It holds the distinction of being the only track without a bassline to go to #1 on the Dance Club chart. 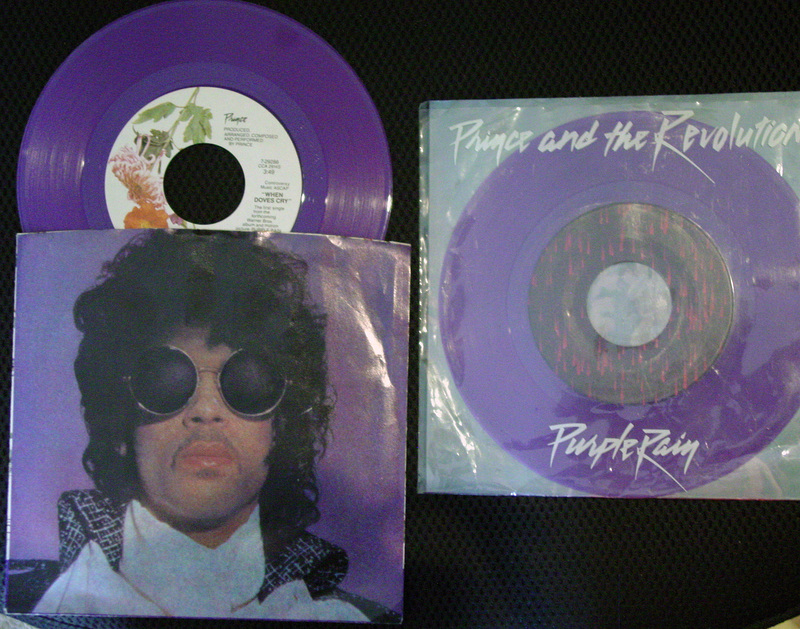 Like the album’s title track, the 45 was pressed on purple vinyl. 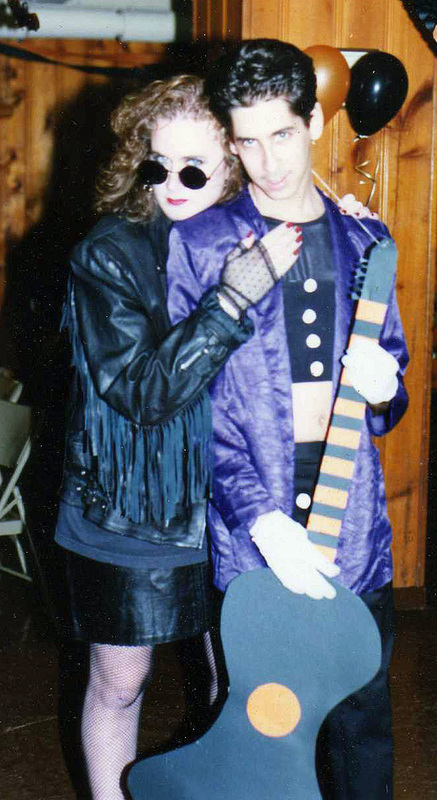 My Halloween costume in 1987 was Prince, inspired by his Parade: Music From The Motion Picture Under the Cherry Moon period. 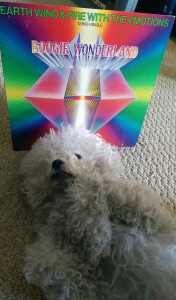 That album, #38 on my Top Albums list, includes Prince’s third #1 pop single, “Kiss.” He wrote the song for the band Mazarati, who were signed to his Paisley Park label. When he heard what the band did with the song, he took it back, replacing the group’s lead vocals with his and adding a guitar lick. 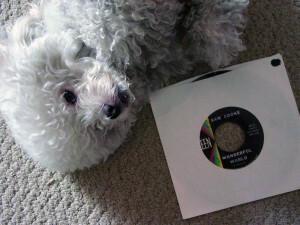 Some more trivia – the week “Kiss” went to #1, the #2 song in the US was “Manic Monday” by Bangles. 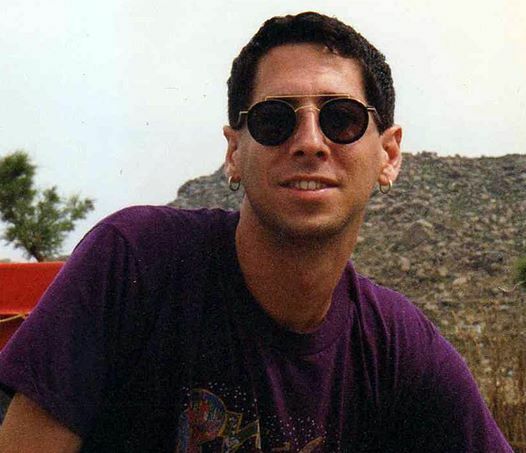 Per that record, the writer of that song was “Christopher.” In actuality, Christopher was a pseudonym for Prince, who also wrote under the names Jamie Starr (The Time’s “Jungle Love”) and Alexander Nevermind (Sheena Easton’s “Sugar Walls”). 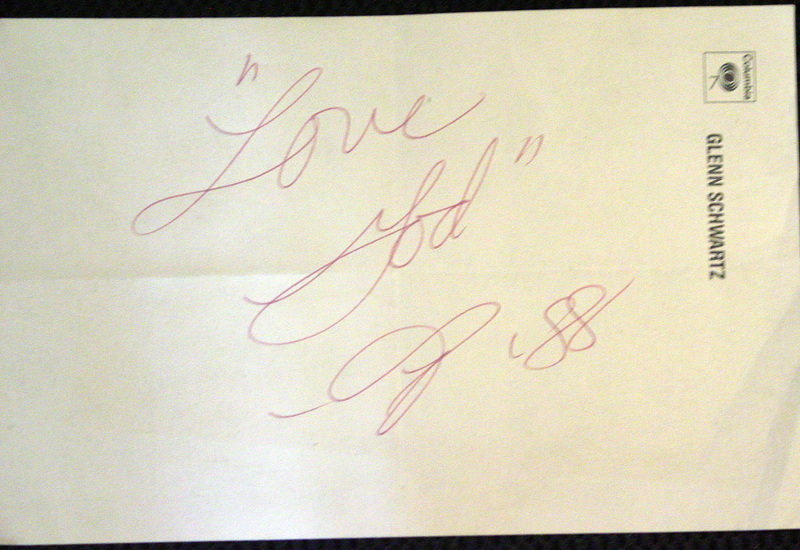 One afternoon in 1988 Prince did an impromptu autograph signing at the Sam Goodys a block away from my office. I told my boss I’d be right back and I wormed my way to the front of the line. He was there to promote his Lovesexy album, which includes “Alphabet St.” I already had the album (on its first day of release, of course! 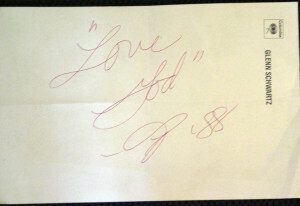 ), so he signed a piece of stationery I took from my office. “Batdance” was Prince’s fourth #1 single. It appears on his Batman soundtrack though was not used in the film. 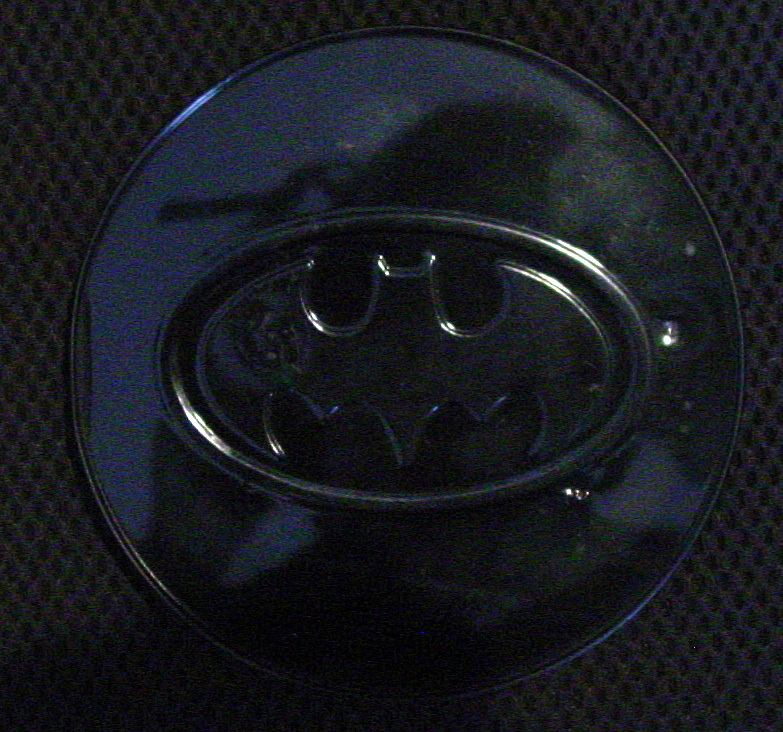 The CD of the Batman soundtrack was released in a tin case. 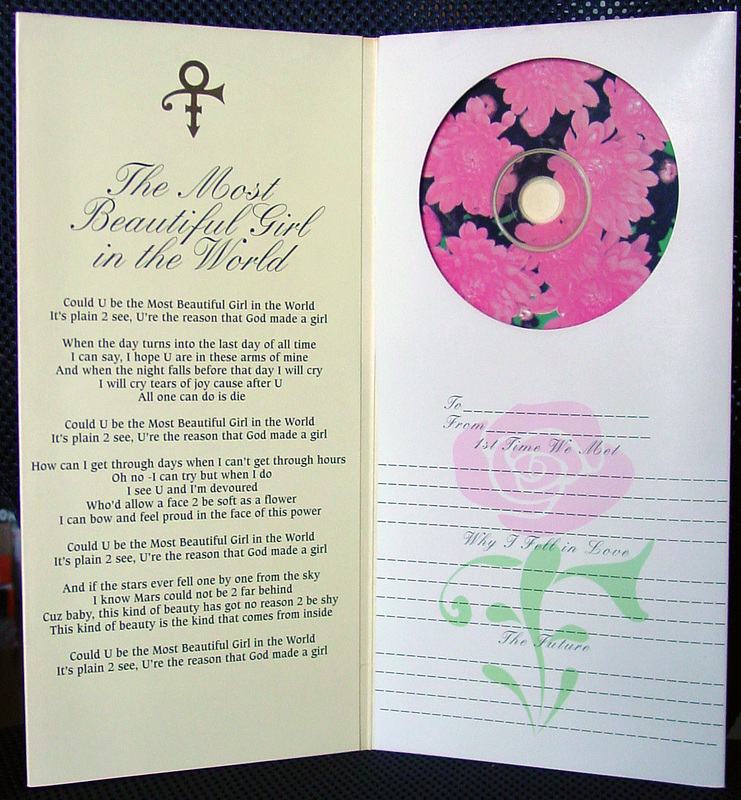 During one of his fights with Warner Bros. Records, Prince self-released a single of “The Most Beautiful Girl in the World,” which was available by mail order in an oversized greeting card. Today, the seventh day of Black Music Month, Prince turns 56. I don’t think he celebrates his birthday due to his religious beliefs, but that doesn’t mean we can’t. 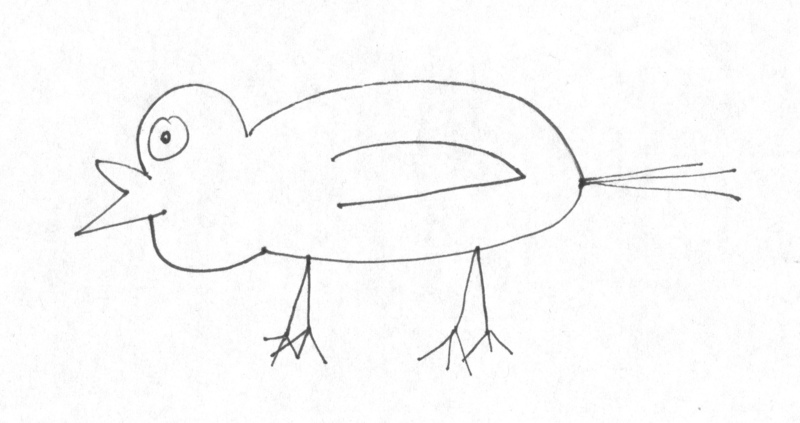 Here are twenty of his finest. 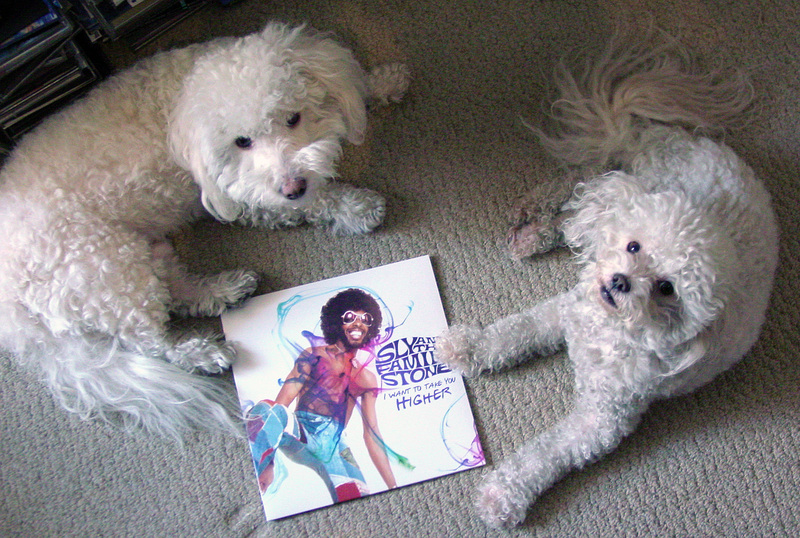 Today the musical genius that is Sly Stone turns 71 years old. From 1968, Sly & The Family Stone’s first hit single helped launch the “psychedelic soul” sound that was a huge influence on acts such as The Temptations, The Undisputed Truth, War, Parliament and The 5th Dimension. Interestingly, the Family Stone didn’t care for the track, thinking it too commercial. 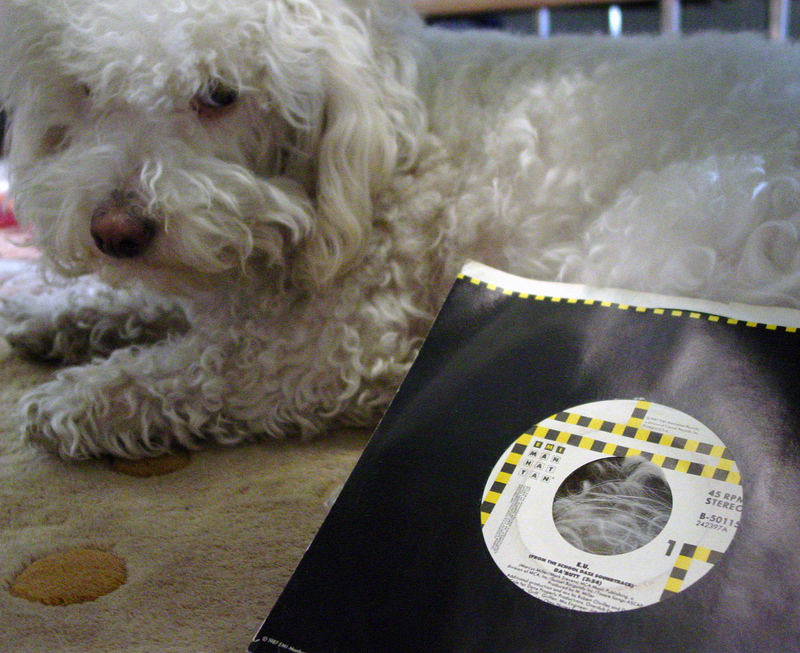 Sly & The Family Stone drummer Greg Errico said this song isn’t simple at all; it’s actually difficult to play live. From 1971, this was Sly’s third #1 pop hit and his last top ten. A track from 1969, seventeen years after President Truman formed the NSA. And vice versa, per the song. Made more impactful due to the fact that this as one of the first integrated bands (which also had men and women playing major roles). Recorded for an album that was never competed, this song, along with “Hot Fun in the Summertime” and “Thank You (Falettinme Be Mice Elf Agin),” was included on a 1970 Greatest Hits set from the band. Released as the b-side of the “Stand!” single, the band’s incendiary performance of the tune at Woodstock had their record label release it as a single a-side, becoming another top 40 hit for them. “And so on and so on and scooby doobie doobie.” Has any other song said so much as elegantly? Hulk Hogan’s daughter Brooke released a cover of this song. 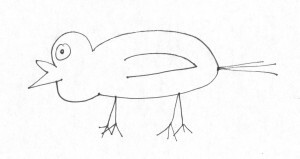 It’s not as well known. 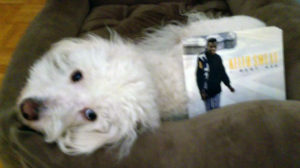 Jesse Johnson, lead guitarist of The Time, brought in Sly to help on this 1986 club hit that went to #2 on the r&b chart.